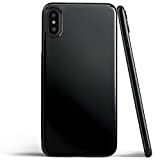 Jet Black is probably the sleekest and sexiest color option Apple ever created — and it was available for exactly one year. Apple introduced it on the iPhone 7 and iPhone 7 Plus as a way to help encourage upgrades since it was reusing the same phone design for a third consecutive year. 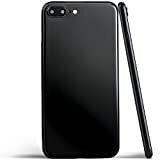 It worked wonderfully and the Jet Black finish was impossible to find in stock for about 6 months, but then Apple got rid of the color option when it switched to glass on the iPhone 8, iPhone 8 Plus, and iPhone X. 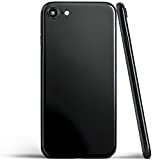 If you want to get Jet Black back, the closest you’ll come is the Totallee Ultra-Thin iPhone Case in Jet Black. It’s available for the iPhone X, iPhone 8 Plus, or the iPhone 8, and it only costs $20 for any model.